As well as our fan wear & apparel we design and produce team wear. We've helped kit out the Bracknell Bees, the Trafford Thunder and Altrincham Jets. 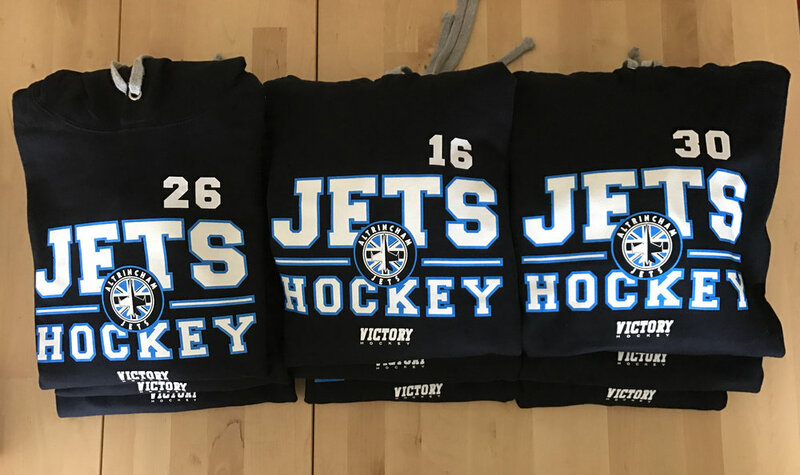 Get in touch if you need off-ice wear for your team and we'll see how we can help you.